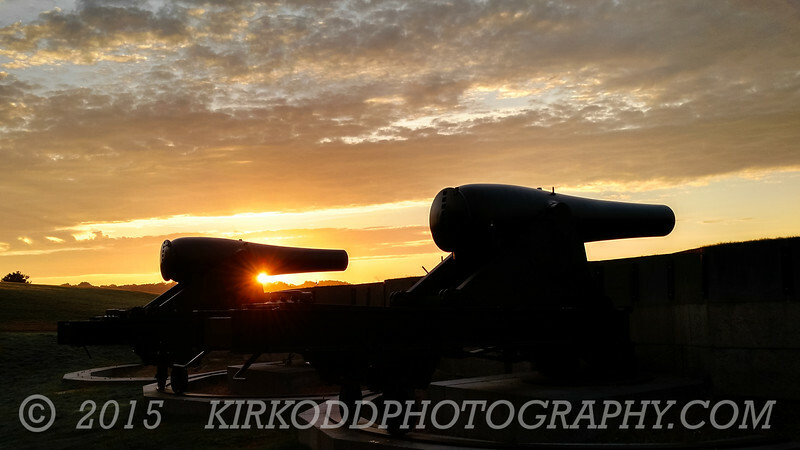 The rising sun made for an awesome silhouette shot at Fort Trumbull in New London, Connecticut! Fort Trumbull is a national historic landmark. This civil-war era fort fell to an attack by Benedict Arnold in 1781. It is the sister fort to Fort Griswold, which is across the Thames River in Groton, Connecticut. Fort Trumbull is named after Governor Jonathan Trumbull, who comissioned the fort's construction in 1775. This shot is of the fort's primary defense cannons, which face the Thames River and once defended Connecticut from attacks via the river.